The audience-interactive element of the Ben Affleck/Matt Damon-produced reality series means it moved at lightning speed; three bite-sized episodes a day aired on Verizon’s Go90 app every day in July. This, of course, impacted the actual production of the show, which saw footage moving from the camera to the edit bay within minutes, not hours, of shooting. To facilitate such a compact workflow, the show utilizes many innovative filming techniques, with drones being at the forefront, specifically the DJI Phantom 4, which stars both behind and in front of the camera. “It’s a live television environment and you only get one take,” explains Phantom pilot Myles Rothacker. It’s a high-risk/high-reward situation, particularly with a scene involving five on-camera drones and one capturing all of the action from the air. In this particular scene, tracker groups had to run towards landing DJI Phantoms, complete an equation printed on the body and use that answer to unlock a nearby lockbox. The Phantom has become an icon among drone enthusiasts and filmmakers alike. Since launching the first generation just three years ago, the Phantom has developed to now having a dedicated on-board camera, precise GPS and vision-based positioning, and a live streaming view to the pilots. All of this makes using it a compact, convenient tool on set. As drones continue to emerge as the most important disruptive technology of the last 10 years, their foothold in the entertainment industry is quickly turning into a necessity, with many mainstream productions using drones regularly to capture aerial footage when there is no time or money for a helicopter. 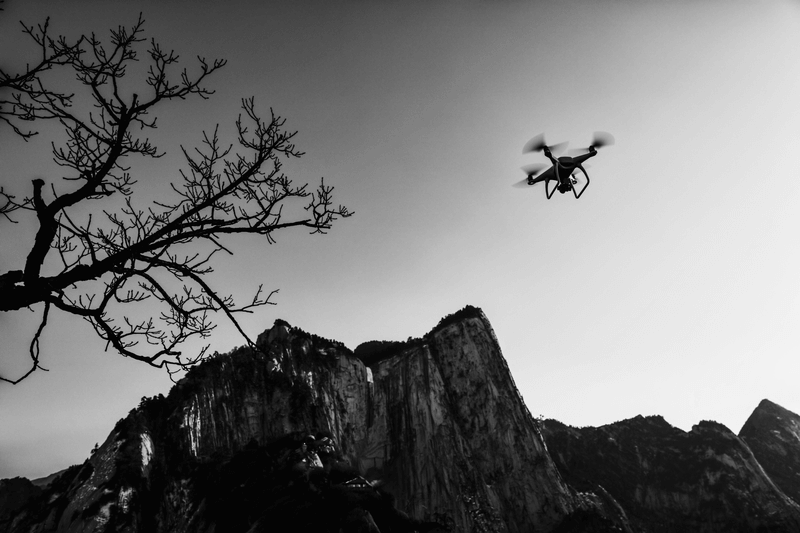 Films and other TV series like The Runner, which strive for creative innovation, are proving themselves to be well-suited for emerging technologies like drones. Seeing how both industries play off of each other in the coming years is shaping up to be another fascinating race to watch, and to take part in.